The Institute is a mysterious institution of the Commonwealth of Massachusetts, which is an extremely sophisticated technology able to produce artificial life forms. These androids are referred due to their disguise that most closely corresponds to a skin as a synth. Sometimes however, they are also called replicants (Blade Runner). Origin of the Institute is the Technological Institute of Massachusetts, which had begun before the war with their research. These were, however, held behind closed doors, which will probably open the first time only in Fallout 4 (the Sole Survivor). While the Commonwealth Police compliance with the law in post-apocalyptic Commonwealth (formerly Massachusetts) are generally used, the Synth Retention Bureau has exclusive jurisdiction to capture escaped synths that have escaped the control of the Institute. In Fallout 3 Dr. Zimmer in Rivet City, a member of this latter division, on an escaped replicants makes along with the Synth Armitage hunting (s. Blade Runner). He arises in the course of the quest "The Replicated Man," that this is the security chief of refuge Harkness. The Railroad is another faction of the Commonwealth, which already appeared in Fallout 3. This declared opponent of the Institute trying by all means to preserve the consciousness came to Synth before the agent of the authority. It was they who Harkness a new face, identity and a clear mind procured by brainwashing. Robert Edwin House, founder, president and CEO of RobCo Industries, better known as Mr. House from Fallout New Vegas, mid-20s access to the Institute of Massachusetts, and founded a few years after the most profitable company in the world. 2077, as the prologue of Fallout 4 begins, Mr. House embarks in stasis. At this time he is 57 years old. The Synths are androids or replicants that have been created by the Institute. You are a sophisticated artificial intelligence that is hardly distinguishable from humans. In Fallout 3 you can in Rivet City on two of these "duplicate people" meet: Dr. Armitage room bodyguard and the head of the local security Harkness. The two Synth Armitage and A3-21 (Harkness' real name) was built in 2242 and are among the best creations of the Institute. 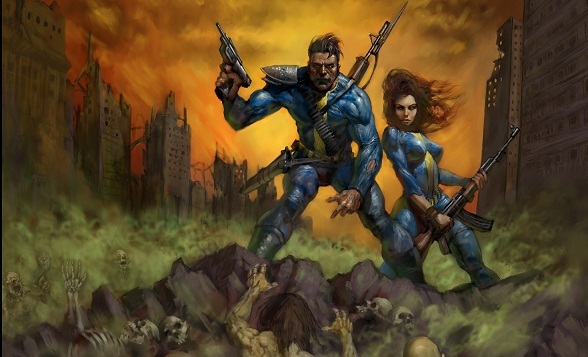 It would be theoretically possible that the Sole Survivor in Fallout 4 hits them. While Armitage is clearly conditioned to make room follow the orders of Dr., he performs unusual pattern for Android. So he eats and sleeps, for example, so that the appearance of the human condition is maintained. In the trailer for Fallout 4 two Synth can also be seen that although very different from the two androids from Fallout 3. The Synth Strider and the Synth Assaulter resemble more the ghouls of wasteland, because they carry a rundown synthetic skin. You are also able to use firearms and prefer this high-technology laser weapons.